International sporting events have a clear political nature: nation-states enter the stadium under their national anthem, represent their countries, and, in the case of victory, their rank increases. In other words, sports is an instrument of “soft power” if we use Joseph Nye’s term. Moreover, the country hosting a sporting event can improve its image, as was the case with the Sochi Winter Olympic Games. Thus, athletes, just like politicians, are paid careful attention by their “partners” and detractors. It is no coincidence that the doping scandals have started around Russian sportsmen. After all, professional athletes from other countries also use steroids. The West needs to strike at Russia’s image since sanctions didn’t bring about the planned affect and Moscow is not giving in to political and economic pressure. We should recall that the first article about such was published in the New York Times in May. The media has statutes for tribute for ordered articles, so it is very easy to identify the initiators. Russia has the right to maintain sovereign positions on many other issues, but it is also necessary to reach consensus through skillful diplomatic work in international organizations. This is not always effective (for example, in recent years the United Nations has supported sodomites in Russia at the expense of traditional family values), but it is individual persons who often have the last word. 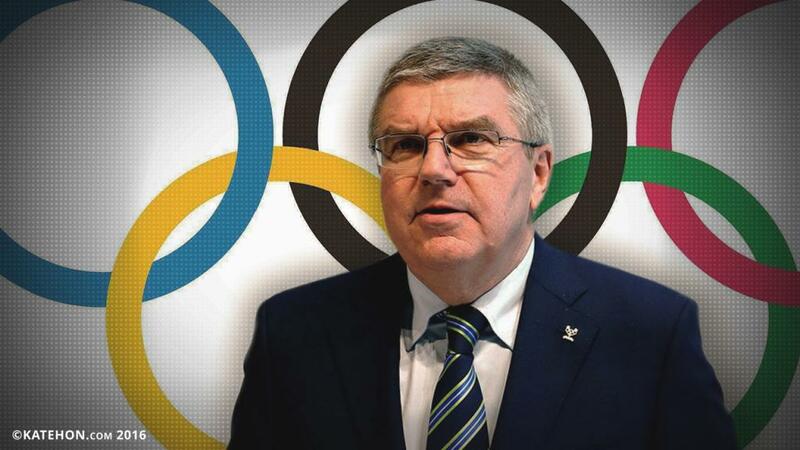 The doping scandal was put to an end by the head of the International Olympic Committee, Thomas Bach, who is in office since 2013. The Russian Olympic team will not be banned from the competition in Rio de Janeiro. The federation will pass decisions on individual athletes. Bach called this approach distinguishing between “clean” and doping athletes who have the chance to prove their case. Although the number of Russian athletes will in fact still be smaller, there still exists the space for a political message: the anthem, the flag, and the possibility to win in different sports. Perhaps some can see a pro-Russian position in Bach’s activities, since he is against the US’ political order on this occasion. He is in fact trying to protect the traditions and mechanisms of big sports. As in politics, sports is filled with a variety of scandals which have taken place quite often in the history of the Olympic Games and other major events. However, in the case of violations by athletes, things should be handled fairly and objective. Otherwise, having achieved their goal (and all Western law is based on precedent), certain lobbies will begin to repeat the practice of discrediting athletes from other countries, thus not serving the interests of sports at all.